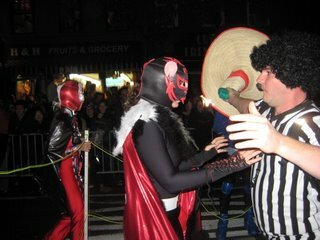 0 Comments Published by Matt on Monday, November 3, 2008 at 5:45 PM. 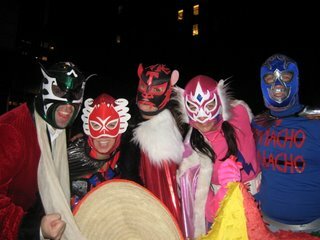 Amanda and I and a bunch of the Tulane crew totally rocked it at Halloween this year. 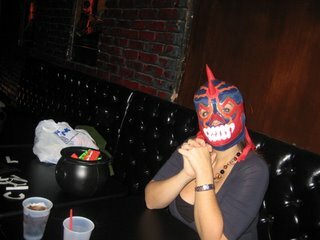 This summer we all picked up mexican wrestling masks in, well, Mexico. 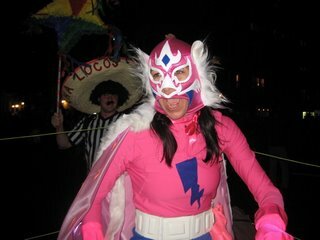 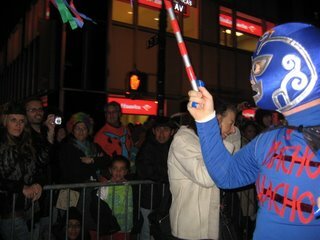 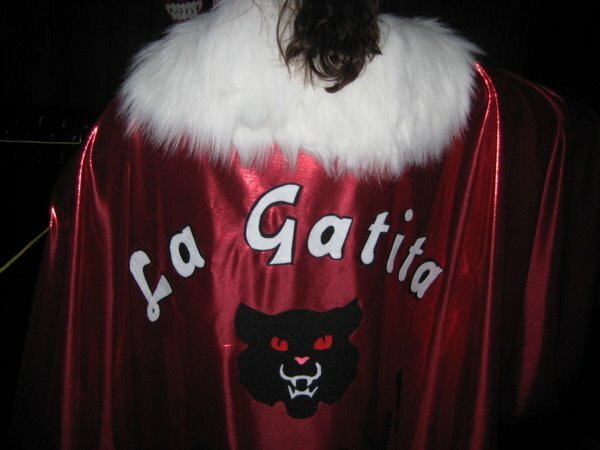 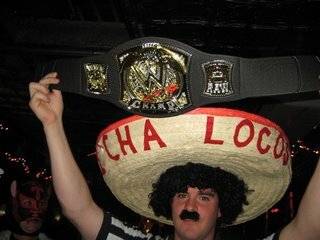 So of course we all geared up to be a band of Luchadores in the 2008 Halloween Parade.